Lola Adesioye joined Robinson College from James Allen’s Girls’ School, a prestigious independent school in South East London where she had excelled academically and musically, becoming her school’s Head Girl and being a Music Scholar. At Cambridge, she studied Italian and Spanish on the Modern and Medieval Languages course before switching to Social and Political Science (now HSPS). While at school, she participated in the European Youth Parliament and competed on the debating team. At Cambridge, she continued her political activism, both within her college and at the university level, holding elected office on CUSU for two years as its Anti-Racism and Ethnic Minorities Officer respectively. She was part of the team which produced Cambridge University’s Little Black Book, an award-winning book for students of colour that was used by the Department of Education and Employment as part of its race relations initiative at the time. 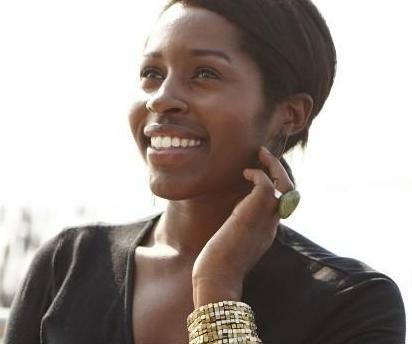 In her final year at Cambridge, in 2004, she appeared in a BBC documentary series called Black Ambition, which followed her and seven other black Cambridge students. Since graduating, Adesioye has contributed to a number of widely-read publications and media outlets such as the New Statesman, The Guardian, The Economist, the Huffington Post, TIME magazine, the BBC and CNN. In her role as one of the founding editors of NBC’s African-American news site, TheGrio.com, she followed in the footsteps of her grandfather Ebun Adesioye who had been one of the pioneering figures in journalism and public relations in Nigeria.and PR in Nigeria. After Cambridge, Adesioye pursued her musical talents and worked in the music industry at the major record company Atlantic and the dance-urban label Ministry of Sound. She also served as the project manager of the team, which alongside Live Aid and Live 8 producer Kevin Wall, was behind the multi-million-dollar, award-winning global music show, Nokia New Year’s Eve for Nokia and MSN. Joe Ansbro is a former Scottish international professional rugby union player. He was the first player of African origin in history to represent Scotland at test level. His international debut for Scotland A team was during the 2009 IRB Nations Cup tournament in Romania while his first senior Scotland appearance was in the 21-17 victory over reigning world champions South Africa; it was in this match that became the first black player to represent Scotland at test level. Born in 1985 in Glasgow, he was raised in South West Scotland. While at school, he played youth rugby with Stewartry, the Castle Douglas club. From Stonyhurst College in Lancashire, he proceeded to Robinson College where he read Natural Sciences. His favoured position is centre. Most recently, he played for London Irish before his career was cut short due to injury. After gaining eleven full international caps, his professional sporting career was ended due to serious neck injury sustained in 2012. He officially retired from professional rugby in May of the following year. In 2006, Ansbro joined the Northampton Academy. During this time, he played for the University team in The Varsity Match, where his outstanding performance was noticed by the Northampton Saints. Thereafter, he became a regular in the number 13 shirt during their season in National Division One and scored in the EDF Energy Trophy final. He joined London Irish in 2011 on a three-year deal. London Irish head coach Toby Booth said of Ansbro, "He's quick, powerful with a great future ahead and will fit in nicely”. Nnenda is a Classics graduate from Downing College and co-founder of the Black Cantabs Research Society. She is also an incoming MSc Development Studies student at LSE.